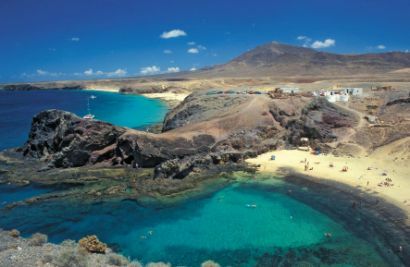 Lanzarote is pure geology, underwater and moonlike sites, crystal clear waters, thirsty lands, palms’ oasis, it is harmonic life of man and nature. Undoubtedly a land of contrasts. It is the easternmost island of the Canary Islands, it is identified by the great amount of volcanoes that cover it due to the great volcanic activity of the early XVIII century. In the north of the island are the smaller islets and islands of La Graciosa, Alegranza, Montaña Clara, Roque del Este and Roque del Oeste. 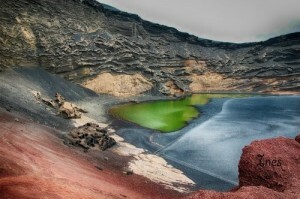 Lanzarote has the Timanfaya National Park and is under the protection of Reserve of the Biosphere by Unesco. It is also an island full of culture. Six other tourist centres dedicated to visitors and more than 15 museums and art galleries supports the quality of its land and coasts. Lanzarote is one of the seven islands that rise out of the Atlantic Ocean to form the Canary Islands Archipelago and its unique characteristics make it the most peculiar of the islands. Is a tourist destination which can be reached from all main European cities. Its white sand beaches and crystal clear sea contrast with the volcanic lave and the greens form the two golf courses that we can find. (Costa Teguise Golf y Lanzarote golf resort). There is also a pitch & putt Hesperia Playa Dorada. Thanks to its climate of eternal spring in Lanzarote, with an average temperature of 22º, you can enjoy your favourite sport 365 days of year.